This week I had the once in a lifetime experience of trying on wedding dresses for the first time. I was lucky enough to find “the one” in my first session and I knew that there was no where else for me to go than to Isabella Grace in Tunbridge Wells. As the UK’s Best Bridal Retailer (British Wedding Awards 2015) and with two other awards to their name, I knew that I would be have the most fabulous time with Rebecca Doyle and her team. It can be a daunting experience, the first time trying on a wedding dress. It’s not as if it is something you do every day. But it is so fun! 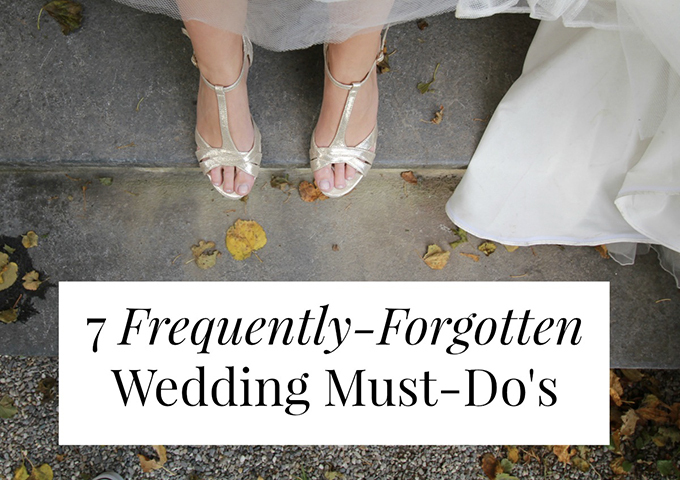 I thought I would share my top 5 things to remember when choosing your wedding dress. To help you along the way, ease the stress and to remind you of those things you might just not know about. Warning.. this is a long post but oh so vital! So warning number one. You will spend a lot of time in your appointment in your underwear. You will be moving in and out of dresses and you need to feel comfortable. It is also important to have “good” underwear on and pieces that work with the dresses. No one wants to see huge black pants under gorgeous ivory french lace! You need to emulate the wedding day itself and it’s also a huge confidence booster to be looking fabulous in THE dress you choose when you are looking in the mirror. I treated myself to a new flesh coloured strapless bra and knickers. A pair that I felt comfortable in and that wouldn’t show themselves under the dress. You want to feel beautiful from the inside out and it does help complete the look. Trust me, this is an easy win and will help you appreciate the dresses more. Your bridal consultant will work with you to find the dress of your dreams. Isabella Grace‘s manager Sally Wheatley took my appointment and I was in safe hands. Expect your consultant to ask you about your venue and your theme as this helps them put together a visual idea in their head. If like me strapless, sweetheart neckline were a no, princess style “pouffe” as I call it and satin and silk also out; then say that from the start. It is easier to say what you don’t like, to then allow the bridal consultant to work on what you might like. If you have cut outs from magazines or your phone with Pinterest boards on then that will help; but remember that the boutique stocks specific designers, so you might need to be flexible on that dream dress you have in mind. The consultants will make sure they tick all the boxes in your head! Myself and Sally picked out eight dresses, I tried on six and at no surprise to me, the one Sally picked out first having listened intently to me was THE ONE! Soooo exciting. You’ll just have to wait for the big reveal after the wedding in May 2016! Follow Rachel’s board One day became THE wedding day on Pinterest. Here’s my ONE DAY became The Wedding Day Pinterest Board for an insight into my bridal mind! Now this might sounds a little chicken and egg. What came first the dress or the hairstyle? But it can hugely help when developing the overall “look” of your wedding dress. I knew that I wanted to have a lose chignon, or low ballerina bun with a few curls for the big day. So I tried to emulate that as best I could with just one hair band. It allows you to look at the lines of the dress, the neckline, sleeves if you are going for any. It brings the dress to life and I also tried a vintage style hair comb to complete the look – you want to try to see how you will look on the day. So think about your hair before your appointment. It might be that you don’t know, and that is fine – but make sure your hair is clean, shiny and you have some hair accessories so you can play with it during the appointment to try out different styles that work with the dresses. Again, makeup is important in your appointment. If you turn up straight out of bed with ruffled hair and no makeup you won’t feel fabulous in any wedding dress you try on. 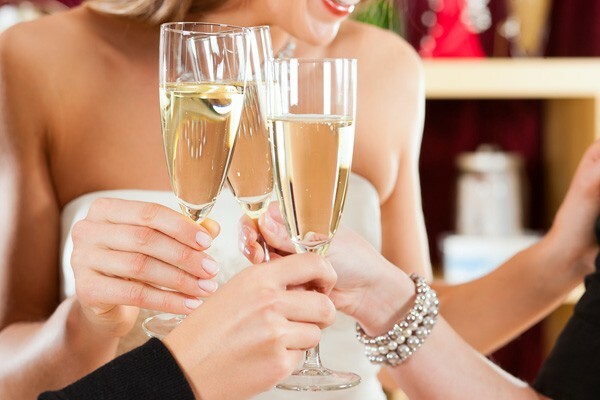 Your wedding day will be all about the glitz and glamour. You will be having fabulous makeup and hair for the day and just like with the hair style above, you’ve got to “feel the look”, you’ve got to emulate how you might look and feel on the big day. But… go for subtle, natural makeup. Firstly because you will be trying on a lot of dresses and no one lines foundation lines on necklines. Secondly, you will be hopefully be trying on in different lights. If in day light you see you are hideously orange as you over applied the foundation that day, then it could change how the different white tones of the dress work with your skin. Finally, no fake tan. You will be trying on dresses that cost a lot of money. Although many are samples for the boutiques, remember that fake tan can stain. It’s best to avoid it and be natural. As we were leaving the boutique, the next bride arrived with four women in tow. Now I am a huge fan of Say Yes to the Dress, but for me an entourage was a no-no. I took my mum with me to my appointment. A lady of wisdom, who has dealt with years of shopping with me and both of our opinions. This is so much easier. Remember that trying on dresses is about YOU. It is great to have a second opinion but I wouldn’t recommend a third, fourth and fifth. It can get confusing when there are too many voices and thoughts on a dress. This is about what you think when you step into them. There’ll be the ones when you know it doesn’t feel right and those that you want to try “just in case”. You might not agree with your mum or your companion for the appointment but they are there to support and help you. Make it simple; just take one friend, one bridesmaid or your mother with you. You want to share the experience, especially like me, when you do say yes to the dress but make sure it is on your terms and without too many other voices in the room! 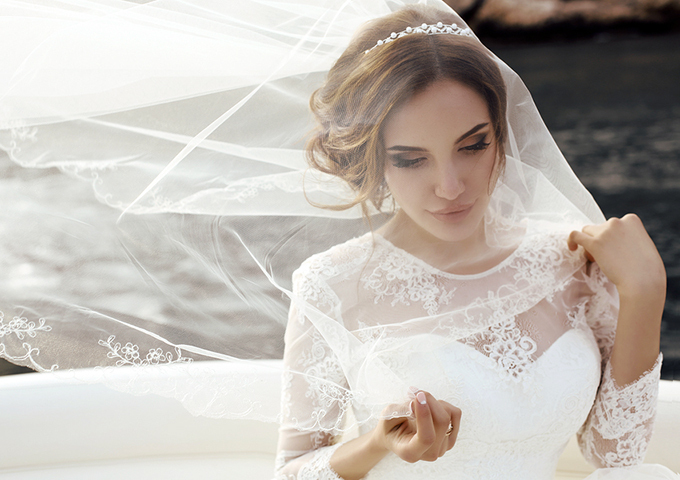 Are you a 2015 or 2016 bride? 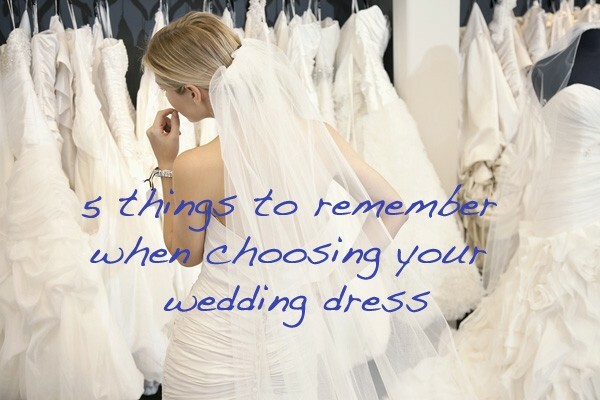 Have you found your dress yet?– do share in the comments your experiences of wedding dress shopping!